← The Show Must Go On? 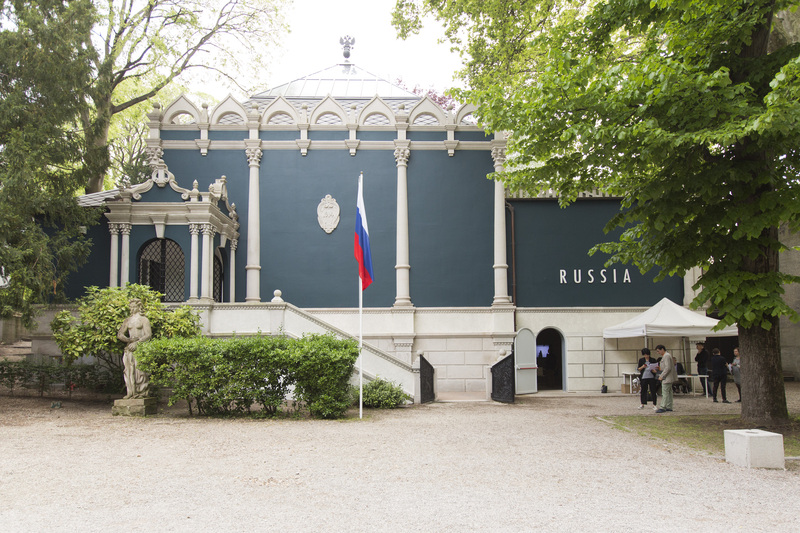 The Russian Pavilion at the 56th Venice Biennale, which opened to the public on May 9th, made history: for the first time since the founding of the pavilion in 1914, the country was represented by a female artist, Irina Nakhova. Moreover, Nakhova’s “Green Pavilion” was commissioned by a woman (Stella Kesaeva of Stella Art Foundation) and organized by a female curator, Margarita Masterkova – Tupitsyn, a renowned expert on the Russian Avant – Garde. Even (and especially if) unintentional, such a display of female power made us proud, and deserves to be celebrated. Irina Nakhova’s “Green Pavillion”. Picture courtesy of Russian Pavilion Press Office. “The Green Pavilion” is exactly that – green. Nakhova, an artist associated with Moscow Conceptualism who lives between Moscow and New Jersey since the 1990s, has chosen to repaint the facade of the Aleksei Shchusev – built structure, originally the color of “a dried up sand-cake”, into a dark shade of green – a color-scheme that the architect initially had in mind when conceiving the now century – old building. Nakhova is working with the political symbolism and force of color: as Tupitsyn points out in her catalogue essay, in 1914 Schusev associated green with renewal and social progress, but later Conceptualists such as Ilya Kabakov saw it as a symbol of emptiness and communal decline in Zastoi – period Soviet Russia. Nakhova’s work is created in dialogue with the ideas of both Schusev and Kabakov, who represented Russia at the 45th Biennale with his “Red Pavilion”. It also establishes a lineage with the artist’s own oeuvre, particularly her “Rooms” series – total installations that she created in a small room in her apartment in Moscow in the 1980s. Nakhova’s “Green Pavilion” contains color – coordinated rooms – environments that use video, projections, and objects to explore the idea of collective historical memory. One room in particular became the center of attention during the opening of the Biennale when it became the stage for a performance by “On Vacation”, a group of Ukranian artists. The room featured symbols abstracted in two colors – red and green. During a walkthrough, curator Margarita Tupitsyn explained that the color red functioned as a symbol of state propaganda, while green represented utopia and hope. The “On Vacation” activists, dressed in camouflage, occupied this space in protest of the Russian annexation of Crimea and handed out uniforms to visitors encouraging them to “occupy” other national pavilions at the show. Russia’s presence at the Biennale this year has also been expanding beyond the borders of Giardini. Leonid Mikhelson’s V-A-C Foundation presented a joint exhibition of artists Arseny Zhilyaev and Mark Dion titled “Future Histories”. Both artists created large – scale installations that explore the practice of collecting. 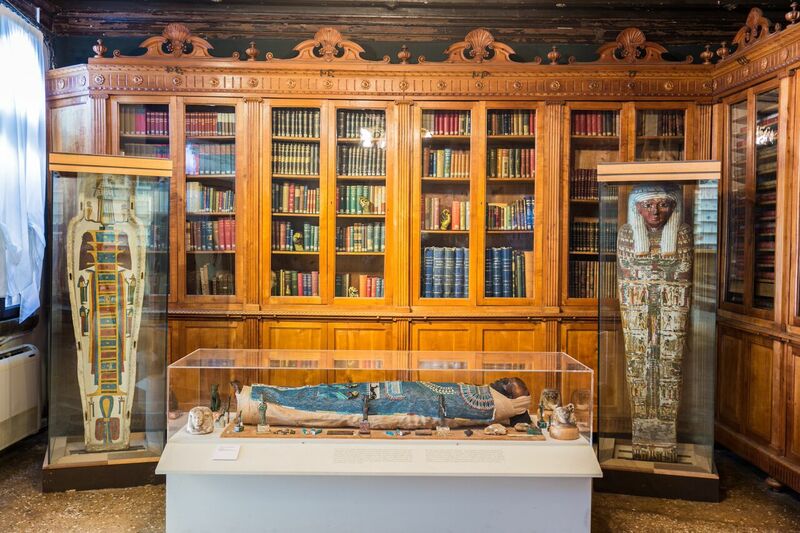 While Dion’s The Wonder Workshop, focuses on the past and takes the Wunderkammer tradition as its starting point. Russian – born Zhilyaev’s Cradle of Humankind is a vision of a not – so – distant future. Zhilyaev’s project imagines a museum dedicated to the origins of civilization in a world where humankind is forced to leave Earth and form its ideas of history through artifacts of the past. When viewers enter Zhilyaev’s museum, they are confronted with faux blue marble walls reminiscent of the Soviet era, a multitude of Kazimir Malevich’s Black Square replicas, and different types of memorabilia. 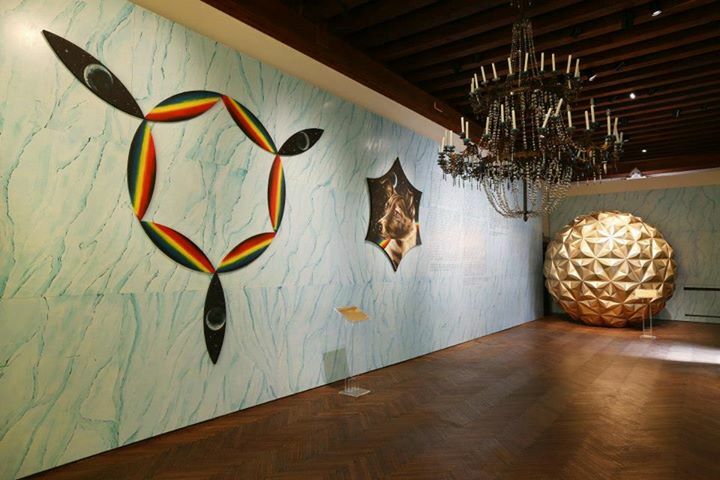 Soon, V-A-C is planning to open up its first permanent space, which will be located on Zattere in Venice. V-A-C’s new building will function as both an exhibition space and educational center and will be the first platform dedicated to Russian art in Venice besides the national pavilion in Giardini. Beyond Russia, the Caucuses were prominently represented at the Venice Biennale, and many addressed specific political issues. Georgia presented a politically-charged project “Crawling Border” referencing the re-drawn borders following the Russo-Georgian War of 2008 that resulted in the breakaway of South Ossetia and Abkhazia. Meanwhile, the Armenian Pavilion commemorated 100 years since the Armenian Genocide by staging a group show of prominent international artists from the Armenian diaspora – participants included Hrair Sarkissian from Syria and Haig Aivazian from Lebanon. Armenia ended up taking home Venice’s top honor – the Golden Lion for best national pavilion. Meanwhile, Azerbaijan was represented by not one, but three pavilions in Venice. Although all three shows were apolitical, their scale and prominent positioning in Venice were a compelling display of soft power. The national pavilion, “Beyond the Line”, curated by Simon de Pury and Emin Mammadov of the Heydar Aliev Foundation, presented artists working in Baku from in the 1960s and 1970s whose practices have often been overlooked. The second pavilion “Vita Vitae” was a group show of international artists, curated around the theme of environmental conservation. But our favorite was “The Union of Fire and Water”, a special project of YARAT Contemporary Art Space dedicated to the promotion and nurturing of contemporary art in Azerbaijan. The show was curated by our friend Suad Garayeva, and featured the talented Kazakhstani-born Almagul Menlibayeva and Azeri installation artist Rashad Alakbarov. Specially commissioned for the biennale, the exhibition included a multi-channel video with poignant footage of Baku, narrating a pre-Russian-revolutionary story of conflict and love in the city. 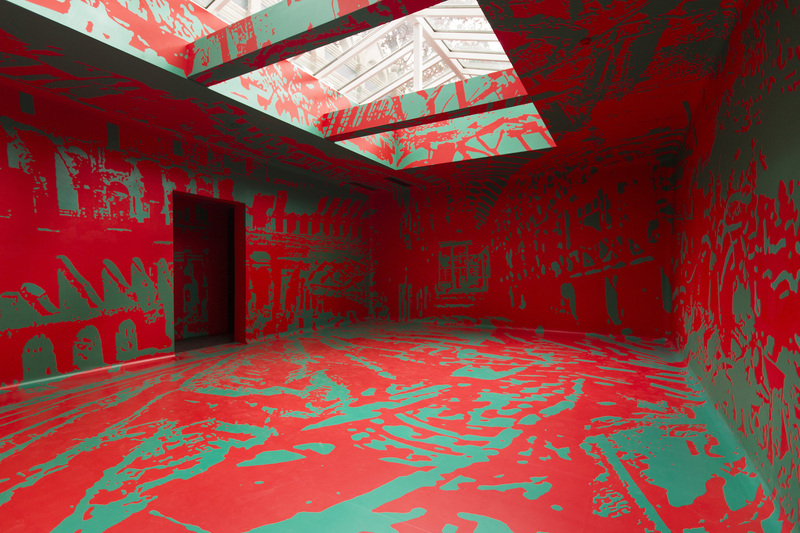 The Venice Biennale is open to the public through November 22, 2015.